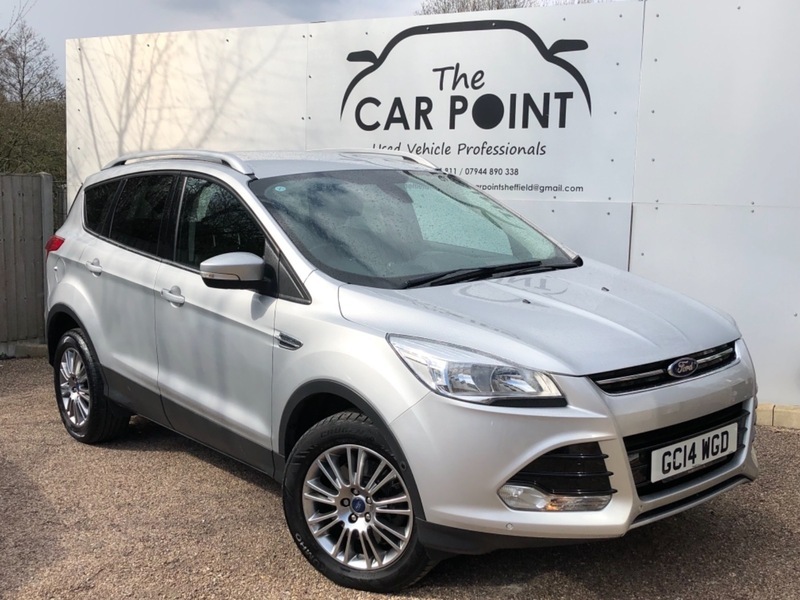 Lovely Condition Ford Kuga Titanium 4x4 2.0 TDCI Manual. This Car Has Been Clearly Very Well Looked after by its 2 Owners From New. Great Specification Including, Half Leather Interior, Park Pilot/Front And Rear Parking Sensors with Automatic Parking! Keyless Go wIth Push Button Start, Sony Media With Bluetooth Telephone, Music Download amd DAB Radio, Alloy Wheels, Rear Privacy Glass, Roof Bars, Multifunction Leather Steering Wheel with Cruise Control, Automatic Lights And Windscreen Wipers, Heated Quick Clear Windscreen, Climate Control. We are Authorised And Regulated By the Financial Conducts Authority, Which means we are Permitted To arrange Excellent Finance Packages, with on of our many Lenders, Taylor Made, to Suit Your Budget. For More Info, Please Call Our Sales Team On 01246 414811 Or Feel Free To Call me Directly, 07944890338 My Name is Ben and I am The Sales Manager.